Our hamster book written by Nadia Vella, was featured in 'THE SUNDAY TIMES of Malta' dated 28th June 2009. 'The Sunday Times' is one of the most popular newspapers in Malta. 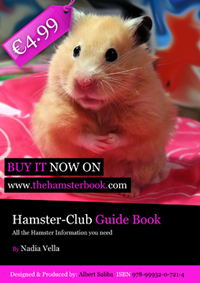 The main article gives basic information about our hamster book which was published this year 2009. After 1.5 years, Hamster Club grew extensively and recently launched its new hamster book named �Hamster Club Guide Book�. This hamster book is aimed to all hamster owners who seek hamster advice. 'Hamster Club Guide Book' is the ultimate best hamster book for all hamster owners, since it provides lots of expert hamster advice. This hamster book will help you with most aspects of hamster housing, feeding a hamster, hamster behaviour, hamster reproduction, hamster health and hamster important tips! This hamster book is replete with coloured hamster photos and also provides lots of natural remedies for when a rodent vet is not available. 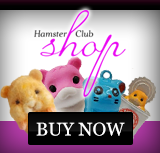 'Hamster Club Guide Book' may be purchased online from TheHamsterBook.com or from most pet stores at the price of only �4.99! (approx �4.30 / $6.56). 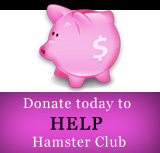 Hamster Club believes that if you have hamsters as a hobby or if you own a hamster and love these types of pets, then reading hamsters� books will also make ones life more fulfilled with knowledge about hamsters. You can they apply this knowledge on your hamsters� needs and provide your hamster the best life possible.